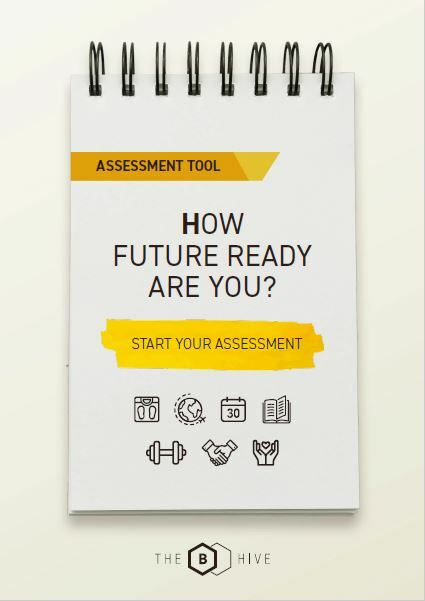 READY TO ASSESS HOW FUTURE READY YOUR BUSINESS IS? We are witnessing times of unprecedented change in the business world which is further impacting other parts of people’s lives. From new business models, evolving competitive playing fields to surprising collaborations and changing laws or ‘rules of the game’, not to mention all of this happening at lighting speed. Whether businesses are ready or at least are in the midst of preparing themselves for the future, there are a number of key factors that need consideration to ensure all the necessary steps are being taken to future proof the business. To assess your business, complete your details below and follow the instructions to download this short assessment, and see how prepared you are for the future. Terms & Conditions Terms & Conditions I agree to receive communications from The B Hive. You can opt-out at any time.